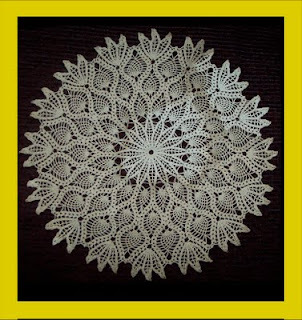 One of my earliest hobbies was crocheting. 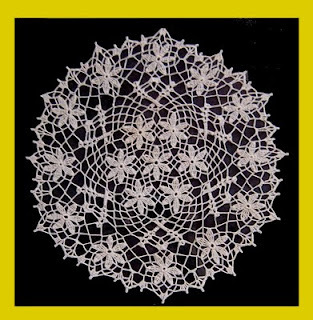 I learned how to make intricate doilies. 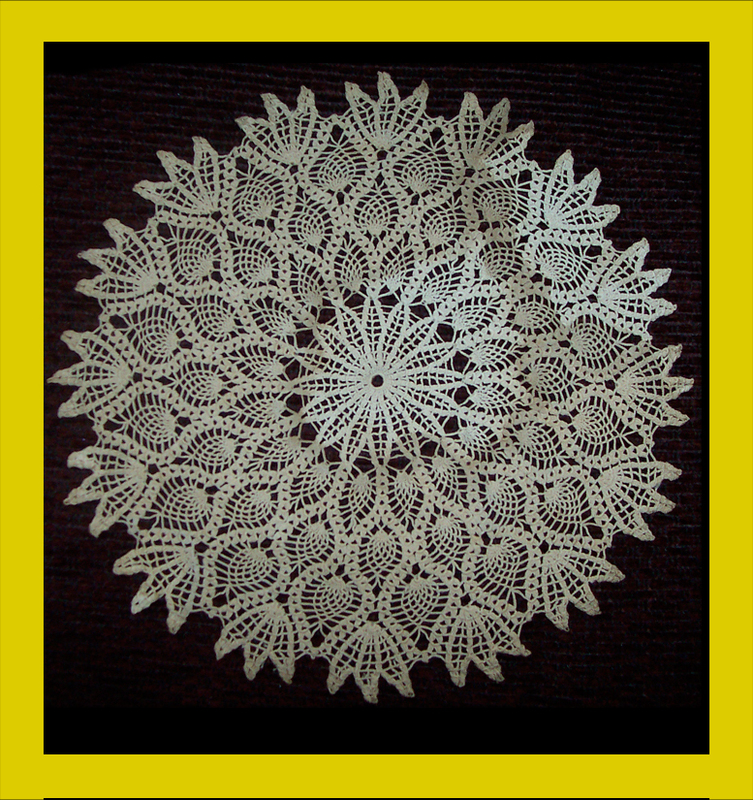 I collected crochet pattern books and followed the designs. 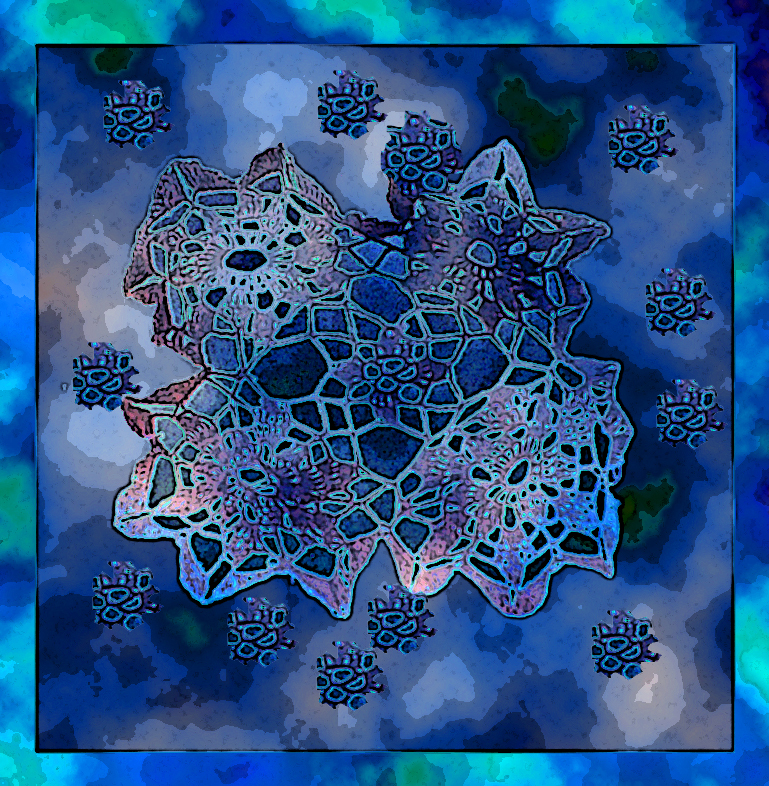 Click each picture for enlargement. 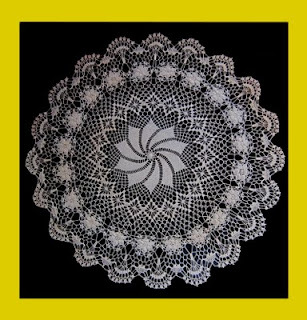 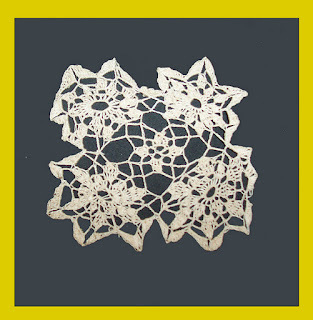 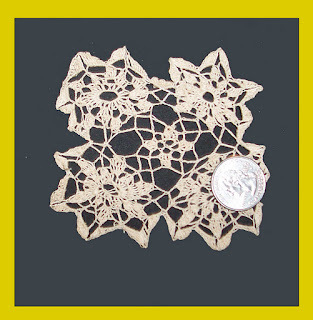 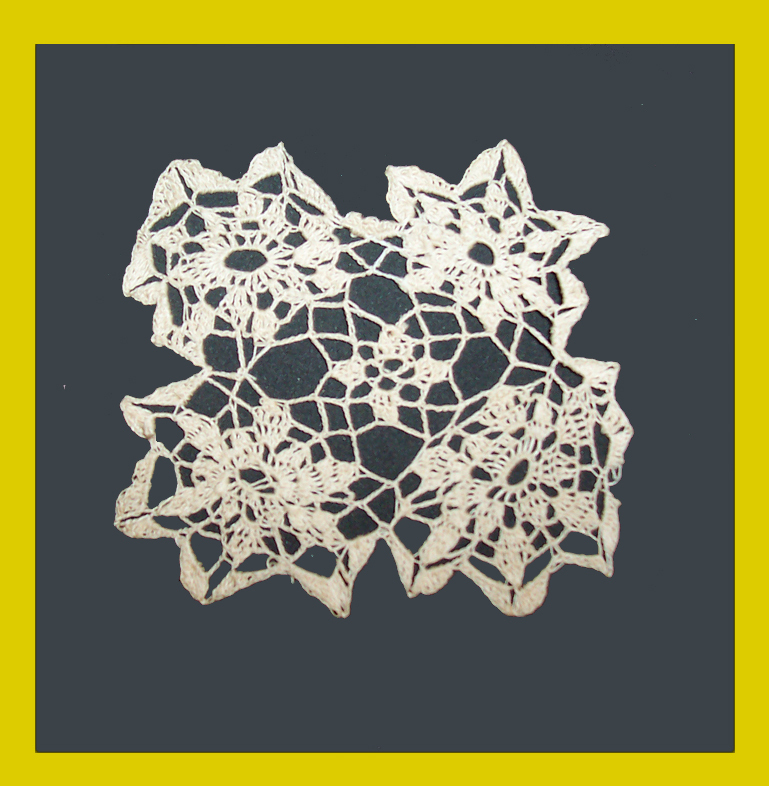 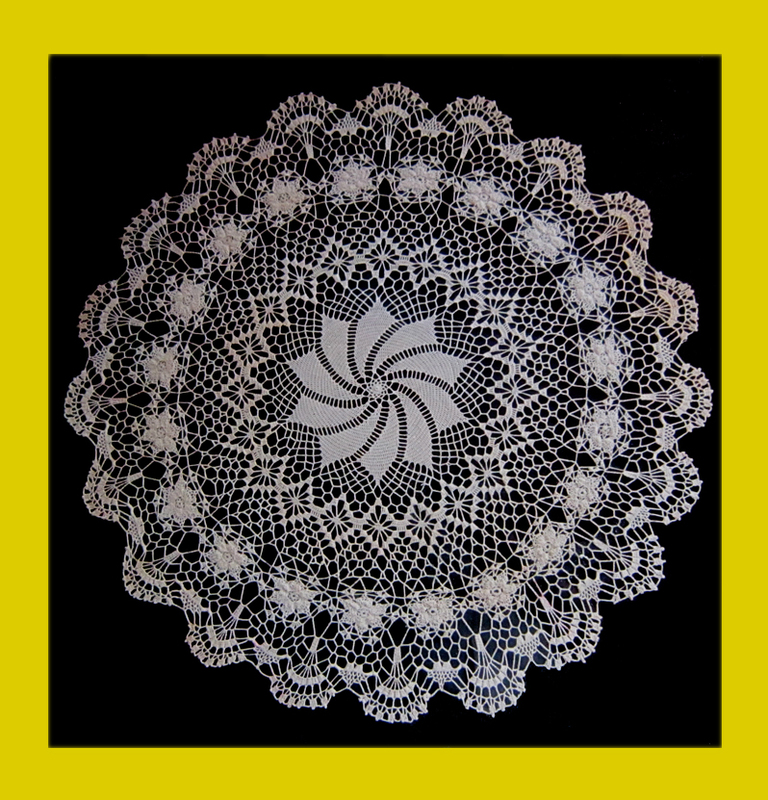 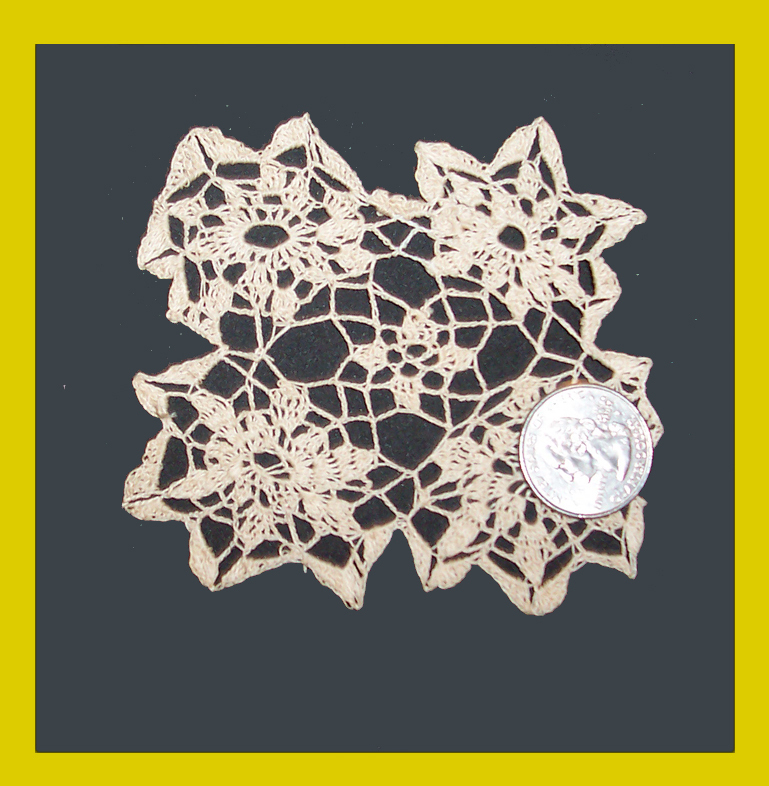 This is a mini-doily, though larger than the scale for a doll house. of the Paul Bunyan story, "Winter of the Blue Snow." 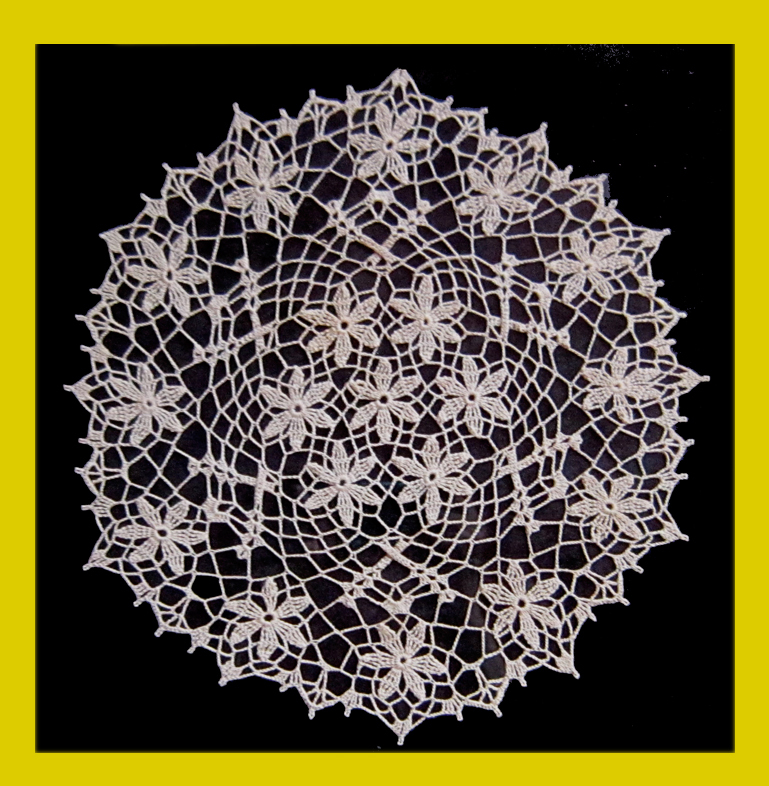 Here are designs from the books of Elizabeth Hiddleson.